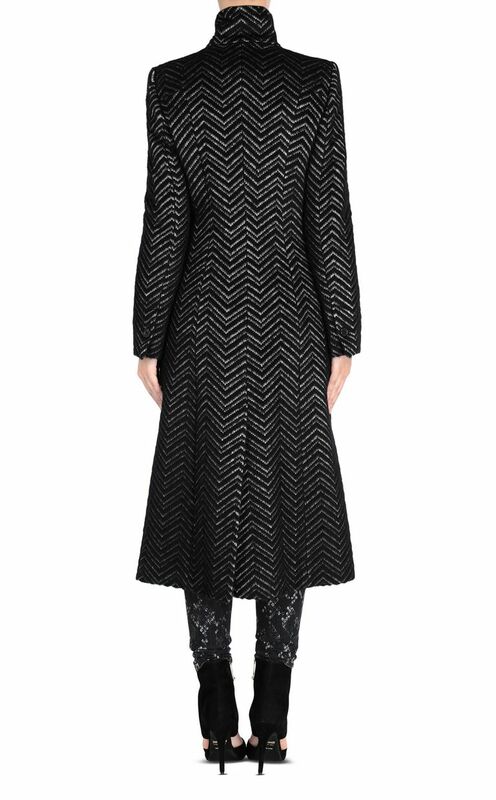 Long coat with long sleeves in a wool blend. The wide neck rolls can be fastened with two large buttons. Two large pockets with flap on the front. 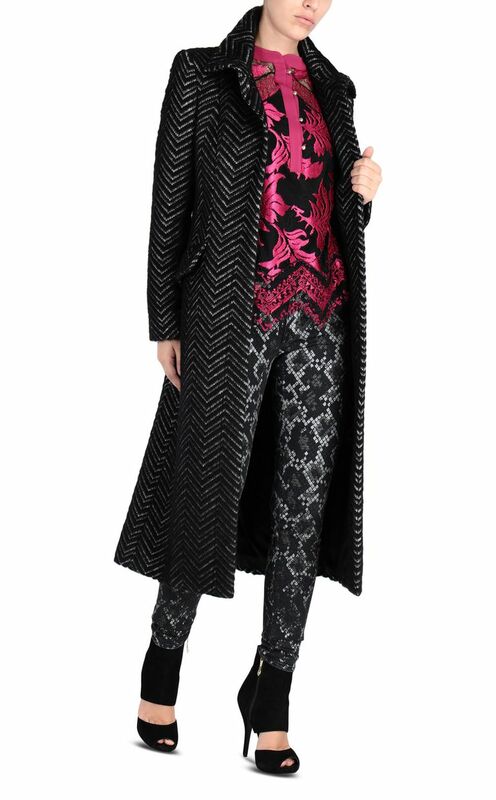 All-over jacquard-style geometric print, adding a sleek, high-shine dimension to the look. Concealed button fastening. Slightly slim fit. Shop online by selecting your country/region from the list below, so that you see the correct pricing, delivery options and item availability for your region.